As their vision of two-states descends into irrelevance, two staters wax increasingly desperate & delusional, and their policy proposals, increasingly unhinged & unethical. …we need a clear map showing Israel's eastern border and the limits of its territorial demands. .. The eastern border must be based on the required minimum to allow a significant number of settlers to join Israel, but no more than necessary. We must give up Ariel…The “no” to the settlements must be unambiguous. There is no need to evacuate them, and there is no need for a compensation plan for those who leave. The settlements beyond the border should be left to wither economically and be deprived of support. Anyone who wants to live in these areas will do so without the support or protection of the Jewish sovereignty within its borders... The Arab Palestinian people must eventually lay down their arms against the Zionist movement…Until this stage, Israel will continue to militarily hold territory east of the border… - Einat Wilf “Yes to the Occupation, No to the Settlements”, Haaretz Dec 31, 2016. These are difficult times for proponents of the two-state formula that envisages a Jewish state and a Palestinian Arab state co-existing side-by-side, in idyllic peace and prosperity. Their disarray and dismay are becoming increasingly evident as their desperate efforts to “preserve the option of two-states” become increasingly hare-brained—and hair-raising. For many years, over the last quarter century since the signing of the ill-conceived, and hence ill-fated, Oslo Accords, indeed until relatively recently, dogmatic two-staters insisted that we had a Palestinian “partner for peace”. Initially, they claimed that Judeocidal terrorist, (and Nobel laureate) Yasser Arafat was the guy who “could deliver the goods”, and imported him and his murderous cronies from Tunis, igniting a wave of carnage in Israeli streets, shopping malls, cafes, and buses—casually (read “callously”) dismissing the murdered and the maimed as inevitable “victims of peace”. Then, having despaired of their blood-stained “peace partner”, unchastened two-staters pinned their “noble” and “enlightened” hopes on erstwhile holocaust-denier Mahmoud Abbas (aka Abu Mazen). When recalcitrant realities dashed these forlorn hopes, rather than admit error, they doggedly refused to discard their discredited credo. Accordingly, they began a frantic search for some other way to preserve the viability of their failed formula. To do this, they decided on the inconceivable—and opted for yet another fatally flawed formula, that of “unilateralism”, which had failed spectacularly in both Gaza and South Lebanon, allowing these areas to become formidable arsenals bristling with weapons capable of threatening virtually all Israel’s major civilian centers. However, aware of the difficulties of promoting such a policy, given the failures of past unilateralism, the authors of the new unilateralism claim that, having allegedly learned from previous mistakes, this time it will be different. This time, they claim, although Israel will unilaterally forgo any claims of sovereignty over the vast majority of the territory in Judea-Samaria, and engage in the unilateral removal of Israeli civilian presence there, the IDF will remain deployed—until a satisfactory arrangement can be reached with some yet-to-be-identified Palestinian interlocutor. However, by conceding the necessity of the continued IDF deployment, the two-staters, turned unilateralists, in effect, admit they had been wrong all along about there being a “partner for peace”. Whew! Just as well we didn’t listen to them then! Yet despite its glaring defects, the new unilateralism has attracted a good number of well-placed and well-funded adherents, both organizations and individuals. These include the well-endowed Institute for National Security Studies (INSS), the public advocacy Blue and White Future (BWF) which works closely with INSS personnel, and the Commanders for Israel Security (CIS) an organization reportedly comprising over 200 former high-ranking officers in the IDF, intelligence services and police. Thus, for example, in a booklet published by CIS, reassuringly entitled Security First, which prescribes “foregoing claims to sovereignty over West Bank territories east of the 'security fence'”, despite the bald confession that, at present, there is no Palestinian peace partner. Indeed, it warns that “The situation on the West Bank requires the continued deployment of the IDF until satisfactory security arrangements are put into place within the framework of a permanent status agreement”. The proposal for (re)adoption of unilateral concessions began to emerge in the public discourse about 3-4 years ago. Since then, I have warned, insistently and incessantly, of the appalling errors in the rationale of this misguided idea – see for example The coming canard: ‘Constructive unilateralism’ (April 19, 2013); Stupendously stupid or surreptitiously sinister, (April 25, 2013); Infuriating, insidious, immoral , (December 19, 2013;) Imbecility squared – Part 1 (June 10, 2016); Imbecility squared- Part 2, (June 10, 2016). I urge readers to peruse the arguments raised in them, identifying and analyzing the grave perils to which this new unilateralism will expose the nation. Clearly by conditioning the end of IDF deployment on the emergence of “a permanent status agreement with the Palestinians [which] ushers in alternative concrete, sustainable security arrangements”, what new unilateralists such as the CIS are in fact promoting is a formula for open-ended occupation, whose duration is totally dependent on the Palestinian-Arabs. After all, if the IDF is to remain deployed in the “West Bank” until some suitable Palestinian “peace partner” appears, sufficiently pliant to satisfy Israel’s demands but sufficiently robust to resist more radical domestic rivals that oppose those demands, what happens if such a “partner” fails to emerge? Clearly then, all the Palestinian-Arabs need to do to ensnare the IDF in what will inevitably become an increasingly unpopular “occupation”, making it an easy target for guerilla attacks by a recalcitrant population backed by armed Palestinian internal security services, is…well, nothing. All they need to do is wait until mounting IDF casualties in a “foreign land” create increasing domestic pressure to “bring our boys back home”, and mounting international impatience with unending “occupation” create growing external pressure, which will make continued IDF deployment untenable—and withdrawal becomes inevitable, without any “permanent settlement” or sustainable security arrangements. Indeed, the basic element of the new unilateralism—the forswearing of claims to sovereignty over Judea-Samaria, on the one hand; and the continued deployment of the IDF in that territory, on the other—replicate precisely the same conditions that prevailed in South Lebanon until the hasty retreat by the IDF in 2000. Clearly, under these conditions, any hope that the conflict can be officially resolved with some negotiated final-status agreement is hopelessly detached from reality. After all, why should the Palestinians offer any quid pro quo to negotiate the withdrawal of the IDF when Israel has a-priori conceded sovereignty to them and ceased all construction of the settlements, condemning them to inevitable decay and disintegration? Indeed, what would be the justification for any further IDF deployment in the sovereign territory of others – especially as that deployment itself is likely to be cited as the major grievance precipitating the belligerency between the sides? 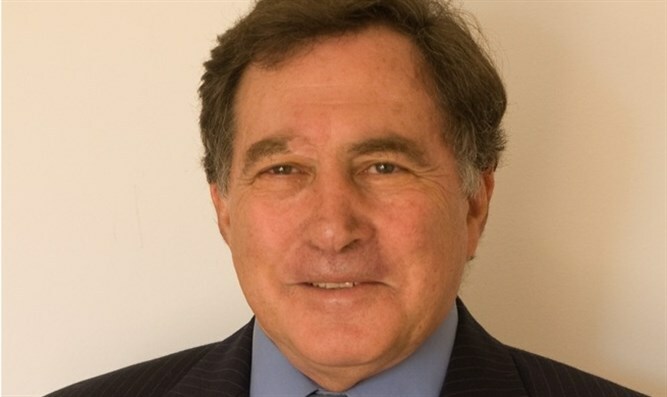 Accordingly, the proposal for deploying the IDF for an indeterminate period, in territory over which it lays no sovereign claim—and hence, by implication, acknowledges that others have such claims to it—creates an unsustainable political configuration, which, sooner or later, will generate irresistible pressure on Israel to evacuate it—leaving the country exposed to the very dangers the IDF deployment was intended to obviate. Just as it did in Lebanon!! Only this time in territory abutting major trans-Israel transportation axes, adjacent to the country’s major population centers and overlooking its only international airport. But even in the unlikely event that some Palestinian-Arab partner could be located, who agrees, in good faith, to conclude a permanent status agreement and implement acceptable security arrangements that allow the IDF to evacuate Judea-Samaria, how could Israel ensure this agreement will be honored and these arrangements maintained over time? Once the IDF withdraws, Israel has no way of preventing its Palestinian co-signatories to any accord from reneging on their commitments—whether of their own volition, due to a change of heart, or under duress from extremist adversaries. Even more to the point, barring intimate involvement in intra-Palestinian politics, Israel has no way to ensure that their pliant peace-partner will not be replaced—whether by bullet or ballot—by far more inimical successors, probably generously supported by foreign regimes, who repudiate their predecessors pledges. Indeed, it is more than likely that it would be precisely the “perfidious” deal struck with the “nefarious Zionist entity” that would be invoked as justification for the regime-change. But whichever of these outcomes emerges in practice, Israel is likely to be confronted with a situation where it no longer has security control in Judea-Samaria and with a hostile regime perched on the hills overlooking the coastal megatropolis. And what do the unilateralists suggest then—you know, as their Plan B? "Protective Edge” on steroids? 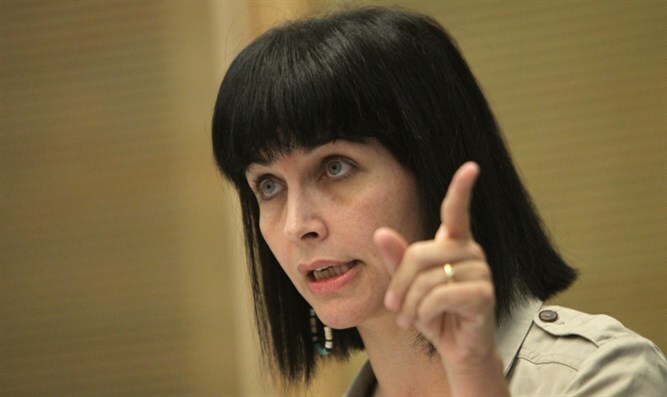 Given all these grave and manifest perils that the new unilateralism entails, it was with considerable disappointment and dismay that I came across an article written by former MK Einat Wilf, indicating that not only has she become a new unilateralist acolyte, but in fact endorses a far more virulent and vindictive version of it. Why I find her support of this pernicious policy proposal particularly distressing is because, with all my disagreement with her on the two-state issue, Wilf is someone I have always held in high regard, as a forceful and eloquent defender of Israel and Zionism, someone, endowed with grace, intelligence and intellectual courage, whose membership enhanced the level of the Knesset. I was thus commensurately astonished and appalled, not only by the fact that she embraced this futile and feckless formula, but because she was advocating a far more radical form of it. (b) Offering some kind of compensation to the Jewish residents of communities that the unilateralist formula envisages as being dismantled. This is a breathtakingly outrageous suggestion—at once, both malicious and moronic. Although I believe that Wilf is neither, there is hardly a more charitable way to characterize her prescription to throw –or at least abandon—her countrymen to the wolves. It is doubtless music to the ears of the Judeocidal Palestinian terror organizations, rubbing their hands in eager anticipation at the prospect of being able to slaughter the hated Jews, bereft of “support or protection”. In her callous disregard for the fate of her fellow citizens across the yet to be determined “eastern border”, Wilf seems to lose sight of the fact that original initiators of the “settlement project” were not some wild-eyed, bearded rabbi or shrill settler extremist, but prominent figures in the Labor Party, which she originally represented in the Knesset, such as Shimon Peres and the iconic moderate, Yigal Allon. Bizarrely, Wilf professes to be motivated by her concern for Zionism and desire to preserve its principles. However, in their essence, Wilf’s recommendation is the very antithesis of Zionism. After all, the epitome of Zionism has always been to bring Jews living under alien rule to live under Jewish sovereignty, not to abandon Jews living under Jewish rule to live under alien—much less, inimical—sovereignty. Yet this is precisely what Wilf endorses. Indeed, is Wilf really claiming that, in her eyes, Zionist principles can only be preserved by maintaining the option of establishing (yet another) homophobic, misogynistic Muslim-majority tyranny, whose hallmarks would be gender discrimination, gay persecution, religious intolerance and oppression of political dissidents? Does her brand of Zionism really endorse depriving Jews of life and livelihood for no other reason than preserving the possibility of somehow eventually establishing said Muslim-majority tyranny, which, almost certainly, will become a haven for Islamist terror?